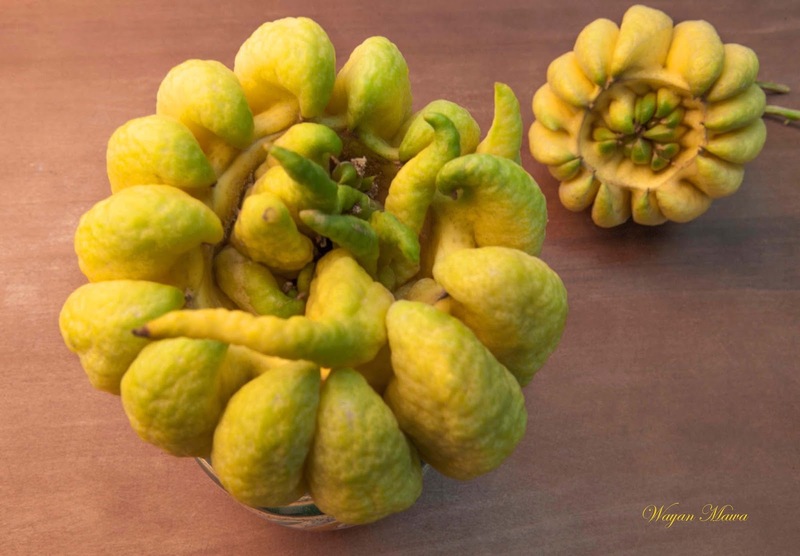 There is citrus plant which produces fruit with many segments human-like finger clusters or resemble human fingers from 5-20 segments, so called Buddha Hands. I do not really know who actually called that way for the first time. But I knew that type of citrus usually presented in the altar or placed as an offering during the special Buddha related day, as an offering during New Year in Vietnam with another 4 kind of fruits, it is symbol of luck, happiness, bright day, prosper, good fortune as well as longevity. This intriguing citrus fruit is cultivated through its seeds (but so far I did not find any seed yet from many fruit I have cut and use in my food) or cutting from the branches. The tree will grow as young tree large shrub and the branches with thorny spikes, evergreen and produce flower then young fruits. The leaves are purple when young and turn to green as soon as grow tall as 3-5 meters or more. 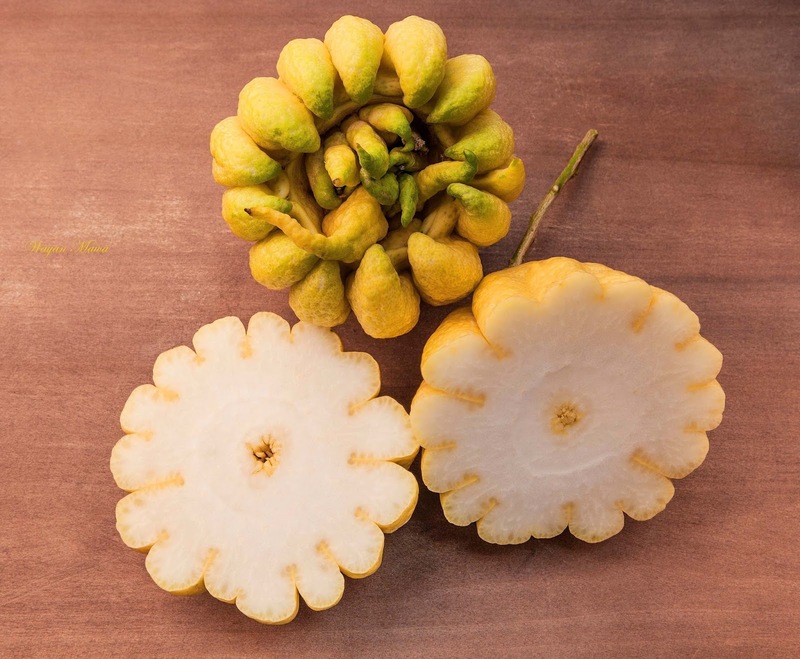 The white-purple flowers then turn to green-purple fruits when young and turned to green and then become very beautiful yellow lemon fruit when it ready to harvest. The native of the Buddha’s Hand citrus to North East India, China and surroundings region and now can fine in many part of the world. 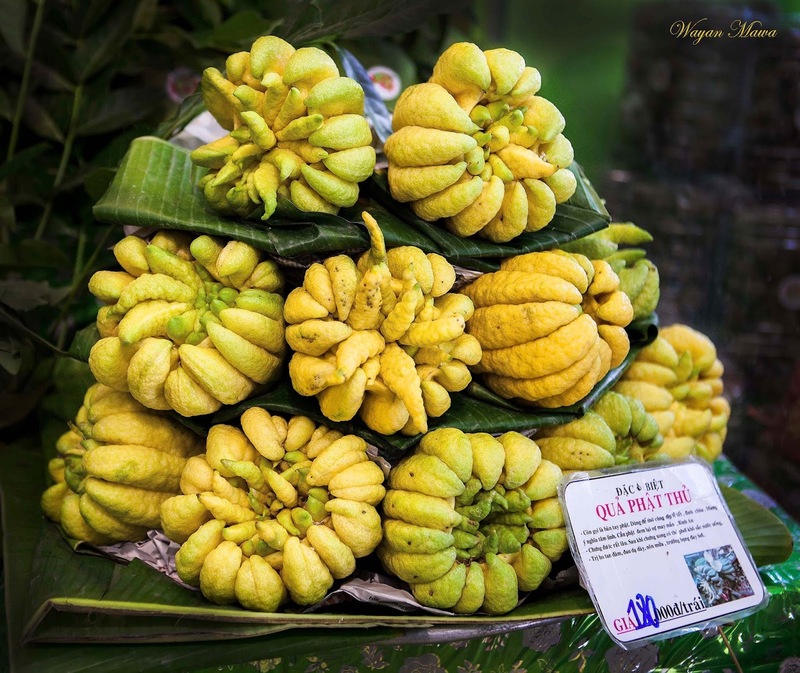 In the ancient time the Buddha’s Hand was in use religion purposes as offering and sometime for the ingredients of traditional healing medicine, but today many uses of this mutant bizarre-look citrus as discovered of the content in it and the creativity of talented chefs. This ornamental fruit has very mysterious, mind healing, delicious, nature clean, last long fragrance as you displayed in the room will give amazing perfume about a week or more if you store it in the air-conditioned room. Medicine: As ingredient of traditional medicine or tonic. Boiled in water and drink it to cure stomach ache and reduce blood pressure. Food: to flavor the food like cream caramel, crème brule, vinaigrette, salad dressing, jam, pastry, ingredient for salad, serve to flavor cheese and many more. Perfume/fragrant: to give fragrant smell for the room when you hang it. Here some recipes you may want to give a try! To prepare the vinaigrette: in a blender, combine the ingredients and blend them to combine. Store it in a container for later use. To prepare the salad: arrange the asparagus and sliced black forest ham nicely on plate. 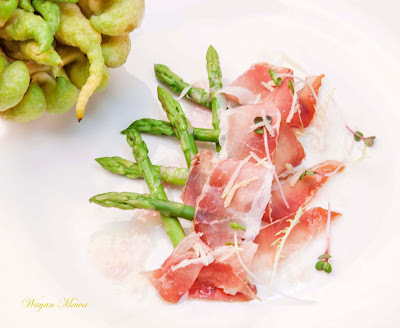 Drizzle with Buddha’s Hand vinaigrette and sprinkled with some zest and serve immediately. To prepare the sauce: in a small pot combine the chopped shallot and white wine and reduce it to half. 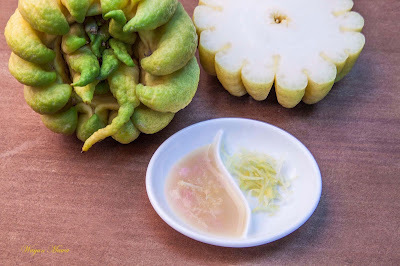 Add in the butter and quickly combine with the Buddha’s Hand zest, lemon juice, salt, pepper and chili flakes. Check the seasonings and serve it with the fish. To prepare the kampachi: season and marinated the fish with salt, pepper, lemon juice and olive oil. Seared the kampachi and then place in a try, to cook further in the oven for about 5 minutes at 185 degrees Celsius. 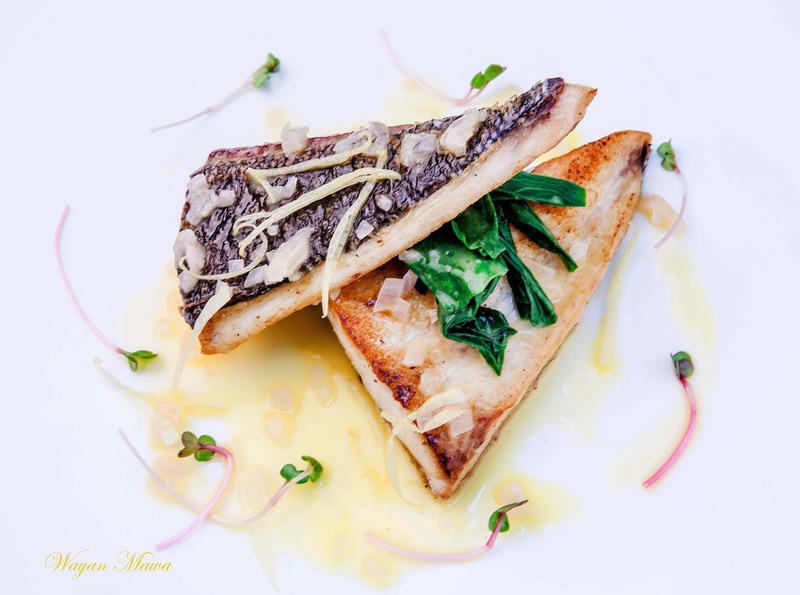 Arrange the kampachi fillet on a plate and serve it with Buddha’s Hand shallot butter. Serve it immediately. 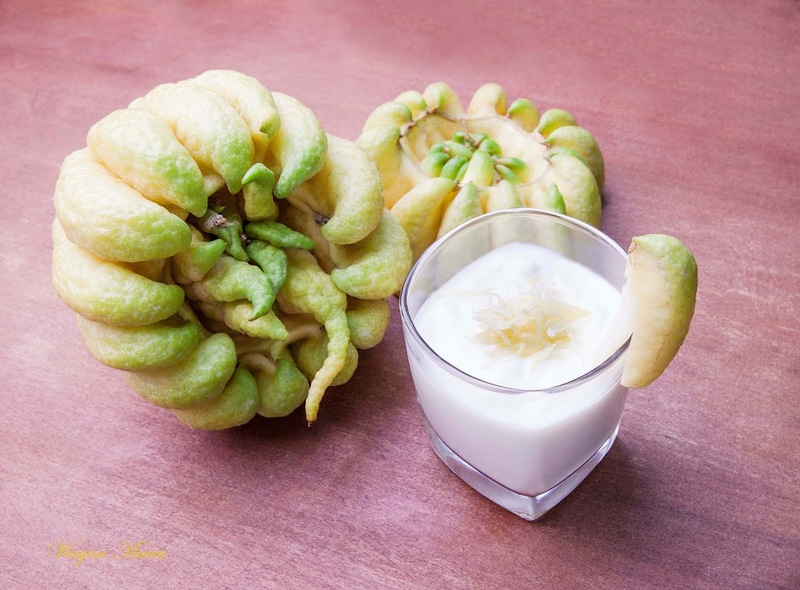 To prepare the smoothies: combine the ingredients in a blender and pulse it to smooth the Buddha’s Hand zest and make sure it is mixed well. Keep in fridge until you need to serve. The cooler is the better. Pour in glasses when serving. Garnish with some of the Buddha’s Hand zest and serve. Great post, appreciated! Do you prefer specialized Fruits and Vegetable Display Refrigerator for fruits and veggies?